Need more information about booking Home 381646 ? Situated in the sleepy village of Bahçeler near Iskele in the region of Famagusta just a short drive from the picturesque harbour village of Bogaz which is the gateway to the stunning karpas peninsula. 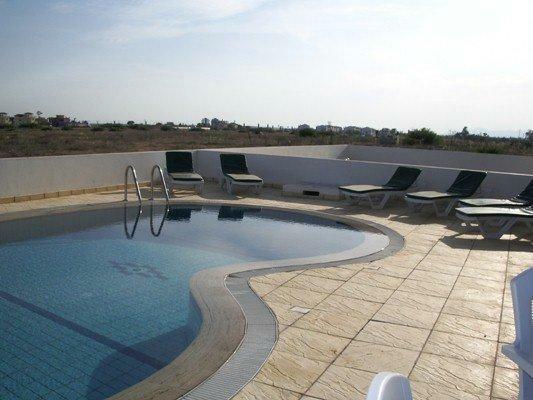 Sunset Vista holiday villa is the perfect place to relax, unwind or explore unspoilt North Cyprus. Whether you wish to rent the one 3 bedroom villa or both if you have a larger party they are just a stones throw from the local beaches and restaurants, you may wish to relax by your own private swimming pool. The villa are equipped with all the modern appliances that you will need to enjoy your holiday in North Cyprus. Please feel free to browse through the website to get a better idea of what Sunset Vista Villas, Bogaz and North Cyprus have to offer. Smoking is allowed outside the villa.